Old Town performance in a compact, nimble format—including PDL Drive version—and FREE fish finder with purchase when kayaks start shipping early July! 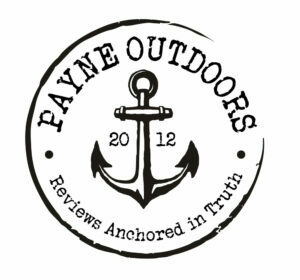 Old Town, Maine (June 28, 2018): The upcoming introduction of the Old Town Topwater fishing kayak series at ICAST 2018 has been the talk of the global kayak fishing community. Old Town has let some of the big news break already—for starters, that Topwater ‘craft will come in two lightweight, compact paddle versions—and more recently, that the series will also include a lightweight, hands-free and nimble pedal-powered version featuring the award-winning PDL Drive. Topwater 106 and 120 models are already hitting retailers and Topwater PDL models will begin shipping early July. Old Town company insiders say the launch of the Topwater trifecta is in response to the growing market demand for easier transportation/storage, comfort, and overall value. Besides all of the above, a great fishing experience, and a fantastic set of advanced features, Old Town is happy to make yet another big announcement. Drum roll, please! 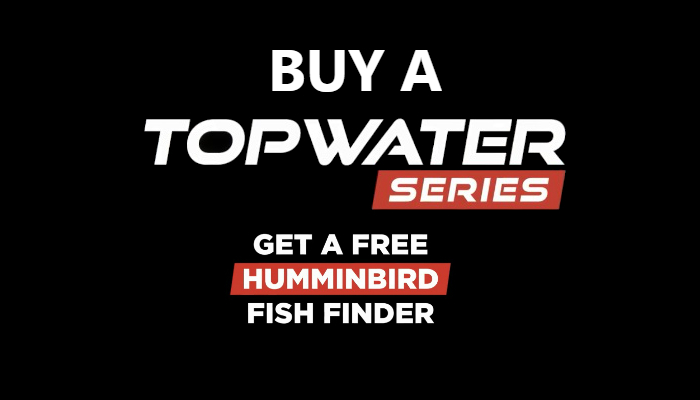 From July 9th-September 28th, 2018, Old Town is offering Topwater customers a FREE Humminbird fish finder with the purchase of any new Topwater Series fishing kayak. Customers who purchase an Old Town Topwater 106 or 120 and fill out the Topwater rebate form will receive a FREE Humminbird PiranhaMAX 4, a $99.99 value. Customers who purchase a Topwater PDL and fill out the Topwater rebate form will receive a FREE Humminbird Helix 5 CHIRP GPS G2, a $299.99 value!